Since this was the last meeting before Christmas, we did what we did last year and arranged to eat a little earlier so we could all share an “Un-Christmas Dinner” together, complete with festive crackers and party poppers. Plans were nearly derailed by gridlock in Oxford that delayed Blue (and by extension the crackers, party poppers, cards and the “Feature Game”), and motorway traffic that slowed Pink in his long trip from the frozen north. Between their arrival and food appearing, there was just time to play a little game of “Secret Christmas Cards” – the idea being that everyone got a suitably festive goaty card and a name, and write the card to that person signing it on behalf of the group. Once we’d got over the lack of pens, the “game” seemed to go very well, though a lot of people didn’t open their card, saving the excitement for later. Green arrived and his announcement that his divorce had come through was greeted with a round of applause. Once the cards, pizza, “half a side of pig with egg and chips”, burgers and ice-cream had been dealt with, it was time for crackers. We had been just about to pull them when food arrived, and knowing what was in them, Blue suggested they’d be better left till the end of the meal as people might not want cracker contents as a topping to their pizza! It was just as well, because when everyone finally grabbed a couple of cracker ends and pulled, there was an explosion of dice, mini-meeples, wooden resources, tiny metal bells, bad jokes, party hats and festive confetti that went everywhere. The table went from mostly ordered to complete devastation at a stroke, to which party popper detritus was quickly added. It was immediately followed by everyone trying to work out where the bits from their cracker had ended up and as some people ferreted under the table, others began to read the jokes (which turned out to be quite repetitive). While the table was being cleared, subject of the “Golden GOAT” award came up. This had first been mentioned a few weeks back by Ivory who had suggested we should have a game that we’d played during the year that deserved an award (presumably he was completely unaware that “Golden Goat” is also a strain of marijuana). Pine suggested that there should also be an award acknowledging the worst game of the year, which eventually became the “GOAT Poo” award. Unfortunately there wasn’t really a plan for how to go about doing this. In the end, Ivory and Green tore up some slips of paper and passed them round with the book so everyone could “vote”. The rules were quite simple, only games played at a GOATS games night in 2018 (i.e. appear in the log book) could be nominated and everyone got just one vote. There was real concern that we were just going to end up with a list of different titles and two nine-way ties, but surprisingly, that did not happen. As the votes were read out, it became clear from the appreciative noises round the table that many of the picks were very popular choices, including Yokohama and Keyflower: The Farmers. A couple of games managed the feat of appearing in both lists winning the unofficial “GOAT Marmite-factor” Award, namely Endeavor and Yardmaster. The winner of the “2018 Golden GOAT” however was Altiplano; Queendomino took the “GOAT Poo” award with a third of the group nominating it (remarkable since only four of the people present had actually played it). There was also a special award for “possibly the best and worst moments of the year” which went to Purple and Green’s inability to play Rock-Paper-Scissors (during Walk the Plank! a few weeks back) and Burgundy, the perennial Saboteur name last time. Eventually, the table was cleared and the inaugural “Golden GOAT” awards had been announced, so people’s thoughts turned to playing games. This year Ticket to Ride: Nordic Countries was a hot choice and with two copies, two games were quickly underway. This is a variant of the very popular train game, but with a nice tight map designed specifically for two or three players and featuring a snowy festive theme. The game play is almost exactly the same as the other versions, with players taking it turns to either draw carriage cards, or spend sets of carriage cards in appropriate colours to place plastic trains on the map. There are a couple of things that really make the Ticket to Ride games work: firstly, the longer the route, the more points it gets. This often makes the longer routes very enticing, but this has to be set against the desirability of tickets (the second thing). At the start of the game everyone chooses from a handful of ticket cards each depicting two cities and a value: players who manage to join routes together to connect the two cities get the depicted number of points at the end of the game. The catch is that any tickets that players keep that are not completed successfully score negatively, and the swing can be quite devastating. Ticket to Ride is a game everyone knows well and although we don’t play it often it is always enjoyable (perhaps because we don’t play it too frequently). The familiarity means that everyone always fancies their chances at it though, which tends to make for very competitive games and the group really benefits from the variation that the different maps and versions offer. On the first table, the game started out in much the same way as all Ticket to Ride games. Ivory placed trains first, but Mulberry and Green followed soon after. It wasn’t long before Ivory was drawing more ticket cards (instead of taking carriage cards or placing trains) and Green soon followed with Mulberry taking a little longer. As is usual, the colour cards that players wanted, just seemed to refuse to come up and everyone’s individual hand of cards grew even as the board filled with more tickets taken at regular intervals. In the early stages the trio were fairly well matched. Green was starting to pull ahead and then for some reason abruptly stopped and his hand of cards grew and grew. He had said that he was going for it and it would either pay off or he would lose abysmally. Mulberry and Ivory had nearly twice as many points as Green when he finally laid a train: the nine-carriage route giving him twenty-seven points and propelling him into the lead by more than his previous deficit. Everyone still had lots of trains left though, so the game was far from over. Eventually, Mulberry brought the game to a sudden halt when she placed her last three trains, catching the others by surprise. With their last turn they scrabbled for the longest route they could manage. Since Green still had a handful of cards he was able to take a six-carriage route for a healthy fifteen points, however, that meant he had to abandon his twenty-four point ticket as he still needed two, very small routes to complete it. The group decided to forgo recounting the points for placing trains and decided to assume they had kept on top of the scores during play. Green was ahead in points for train placement by quite a margin, but Ivory and Mulberry had completed more tickets and Green was crippled by the forty-eight point swing caused by his incomplete ticket. Mulberry took bonus for the the most completed tickets (by only one) and ended just one point behind Ivory. With the score at the top so close they decided they had to double check all the scores and after a complete recount, there was a reversal and Mulberry edged Ivory out by one solitary point. On the next table the story was a little different, with Pink, the “Prophet of Doom” goading Pine offering him advice to give in before he’d even started as he was in for a torrid time playing against Blue and Burgundy. Pine didn’t see it like that however, and as he likes the game, he really fancied his chances. Fortune favours the brave, and he was out of the blocks like a greyhound with a fifteen point placement in just his second turn. From then on, it was fast and furious with players fighting to secure the routes they needed to complete their tickets. Blue and Pine kept fairly level and began to pull away from Burgundy, but neither of them dared to get complacent as he usually has a master-plan that he’s waiting for the perfect moment to enact. Pine drew more ticket cards and Blue followed, keeping pace every step of the way while Burgundy kept drawing carriage cards. Eventually Blue drew ahead in the “taking tickets” race, but it was one set of tickets too far for her as she drew three moderate to high scoring cards that were all unplayable. Fearing she’d pushed her luck one step too far, she kept the lowest scoring card (i.e. the one with the fewest negative points) and pondered her options. Pine took tickets and it was clear he had hit a similar problem though at least two of his were playable, if difficult. In the end, he took a twenty-one point ticket that needed a little work, giving Blue an interesting choice. In addition to the unplayable ticket, she had one low-ish scoring ticket left that she only needed one card to complete. She’d been waiting for that single yellow carriage for a while though and persisting could allow Pine time to complete his new ticket. Although she didn’t know the value or difficulty of Pine’s final ticket Blue felt sure it was high scoring and that he would need a few turns to complete it. With a large set of pink cards and not many trains left, it gave her a chance; by placing a largely arbitrary route she triggered the end of the game. Burgundy squeaked, although it had looked for all the world like he was trying for the long route, in fact he was really hunting for a locomotive (wild) card or a single orange carriage to complete his route into Narvik (though he came very close to getting nine cards necessary for the long route by accident). The irony was that Blue had picked up loads of locomotive cards in her hunt for the single yellow, but hadn’t wanted them and had been unable to find yellow cards because Burgundy had them all! In his penultimate turn, Burgundy had finally drawn his last orange card enabling him to finish his final, long ticket on his very last go. Pine on the other hand was less fortunate and fell short, taking a swing of forty-two points which more than off-set Blue’s incomplete tickets. The group recounted the train points and found a few extra points for Blue, but it was still very close and all down to the tickets. Blue had mostly low-scoring cards; where Pine had one fewer, they were more valuable. In the end, Blue finished twenty-three points ahead of Pine, but she had managed to complete one extra ticket which had given her the ten point bonus – had it gone to Pine there would have been a twenty point swing and the second group might have had a recount too. Both Ticket to Ride games finished at much the same time and while the third game was finishing off, the two groups compared notes. It was then that the first group realised they had not played quite correctly, as there is a rules change in this version that means locomotive cards can only be used as wilds on tunnel and ferry routes, not on ordinary routes. This explained why Green had managed to succeed at his long route when Burgundy had failed. While playing correctly would have changed the game, there was no accusation of cheating as Ivory and Mulberry who had been playing that game had played by the same rules. Meanwhile, while the two ends of the table were playing with their train-sets, the trio in the middle were decorating their Christmas Tree. This game is a cute little card drafting game that originated in Hungary. The game takes place over three rounds during which Christmas decoration cards are drafted. After each card is chosen, the player puts it anywhere they like on their tree. After seven cards, the round ends and the trees are evaluated. Decorations include gingerbread men, glass ornaments in different shapes, wrapped sweets and, of course, festive lights. The gingerbread men have different markings on their hands and feet and the more that match the adjacent decorations, the more points they score. Some glass ornaments and all the sweets score points directly; lights only score if both halves match. The decorations only score at the end of the game though; objective cards are evaluated at the end of each round. At the start of the game each player receives four objective cards and at the start of each round everyone chooses one; these are shuffled and before the round begins. The trees are therefore evaluated at the end of each round according to these objectives. and then decorations score at the end. One of the things about this scoring mechanism is that it’s often not obvious who is in the lead during the game as there are so many points awarded at the end. This game was no exception, and was ultimately very close as a result. It is one of those games that benefits from experience, and Black and Purple’s who had both played before took first and second, in that order. There was time for something else. Inevitably, we threatened Pink with Bohnanza (he has possibly the smallest amount of love for the game per copy owned), but it’s lack of festiveness, meant it was a hollow threat. We still had the “Feature Game” to play anyhow, which was Giftmas at Dungeon Abbey. This is a mad game by a local gamer and member of the Didcot Games Club, Rob Harper set in a world that is a sort of cross between Downton Abbey and the Adams Family. The artwork is suitably gruesome, though it was very clear from the start who the Countess D’Ungeon was a caricature of! Played over several short rounds, each player takes the role of one of the various eccentric and unpleasant family members grasping for whatever feels like the best present. To this end, players begin with a character card and a couple of gift cards, all face down on the table in front of them. On their turn, the active player may either swap one of their face-down cards with one elsewhere on the table, or turn a card face-up, possibly activating a special action on the gift cards. The round ends when all a player’s cards are face up at the start of their turn or a bomb is revealed, at which point everyone scores points if they have collected the gifts wanted by their characters. With six people playing nobody had a clue what was going on and mayhem reigned. Ivory and Pine jointly took the first round giving them a point each, but after that, the gloves were off. Purple took one round and Pine and Ivory took another each, so it was all down to the last round. Green had spent most of the game trying to furnish Little Eugenia with two bombs, so when Blue realised he had the cards he needed to win the round, she made it her business to try to obstruct his plans. Needless to say he spent the round getting his cards back. With Blue and Green playing silly beggars in the corner, everyone else fought it out, but there was nothing everyone else could do to stop Ivory taking the point he needed to win. There was still time to play something else, but nobody was really in the mood so, instead, Blue and Ivory drooled over the fabulous pink dinosaurs from Ivory’s new arrival, Dinosaur Island. Blue had nearly KickStarted the second edition, but had withdrawn when she’d heard Ivory was already committed to the project. Needless to say, Ivory had brought his copy to show it off at the earliest opportunity, including plastic goats as well as dinosaurs. And of course it will undoubtedly be a “Feature Game” sometime in the new year. Learning Outcome: Christmas Crackers can make an awful lot of mess. This entry was posted in Games Night and tagged Altiplano, Bohnanza, Christmas Tree, Dinosaur Island, Giftmas at Dungeon Abbey, Keyflower: The Farmers, Queendomino, Rock-Paper-Scissors, Saboteur, Ticket to Ride, Ticket to Ride: Nordic Countries, Walk the Plank!, Yokohama on December 30, 2018 by nannyGOAT. Boardgames in the News: Who are PAI Partners and what do they want with Asmodee? A couple of months ago, Reuters reported that according to un-named sources, investment bankers had been hired to run the sale of Asmodee. The claim was that the sale “could value the company at over €1.5 billion”, but there was no credible information as to who the potential buyers were. This mystery has now been solved with the announcement that PAI Partners have entered into exclusive discussions to acquire Asmodee, a company with an enterprise value of €1.2 billion. So, who are PAI Partners and what do they want with Asmodee? Well, PAI is a European private equity company, that grew out of the merger between the French banks, BNP and Paribas in 1993, with a management buyout completed in 2001. They have invested in a wide range of companies covering everything from yoghurt (Yoplait) to tyres (Kwik Fit) to cargo handling (Swissport). Obviously PAI are interested in making money from Asmodee, but at this time there is no evidence to suggest that would by by asset stripping. Price increases would be almost inevitable however, as the Studios would be under pressure to provide a good return on the investment. This entry was posted in News and tagged Agricola, Carcassonne, Dead of Winter: A Crossroads Game, Dobble, Love Letter, Pandemic, Splendor, Star Wars: X-Wing Miniatures Game, The Settlers of Catan, Ticket to Ride on July 24, 2018 by nannyGOAT. …it would seem that Eurazeo is not looking to hold onto Asmodee for the long haul, instead they will be looking to maximise Asmodee’s growth and then make their exit, probably in the next two to five years. So the big question is, how are Eurazeo going to make their “controlled exit”? This entry was posted in News and tagged Agricola, Carcassonne, Dead of Winter: A Crossroads Game, Dobble, Love Letter, Pandemic, Splendor, Star Wars: X-Wing Miniatures Game, The Settlers of Catan, Ticket to Ride on May 10, 2018 by nannyGOAT. On 28th April 2018, Blackwell’s Bookshop in Oxford are holding their second games night in collaboration with Osprey Games, a small games publisher based up Cumnor Hill. Originally owned by Berkshire Printing, part of Brooke Bond, the tea company, Osprey was formed in 1969 to publish “Aircam Aviation“, a series of books that grew out of the aviation illustrator Richard Ward’s work on the collectable tea cards. In 1998, Osprey became an independent company and moved from London to Oxford and began focusing exclusively on publishing on warfare and military history books. Over the last ten years, Osprey has been publishing the Bolt Action rules used for World War II simulation games, but more recently has also engaged in reprinting some of the lesser classic board/card games. This includes Martin Wallace’s London, Reiner Knizia’s High Society and Patrick Reid’s semi-cooperative game, Escape from Colditz. Blackwell’s is a very well known independent Oxford bookshop, but given the increasing popularity of board gaming in Oxford, they have jumped on the band-waggon and now stock a moderate range of modern board games including staples like Ticket to Ride and Carcassonne. Last October when London was re-released, Blackwell’s had copies available for pre-order for significantly less than they were being sold for at Essen a couple of weeks later. Since then, Blackwell’s have had good deals available for other Osprey games as well, including Star Cartel and The Lost Expedition. It is clear that Blackwell’s and Osprey Games are building a strong working relationship which was consolidated back in February when they held their first joint board games evening at Blackwell’s Bookshop on Broad Street. This was clearly very successful, as there is now a second games evening planned for Saturday 28th April, 7pm-10pm. There is a £4 entry fee, but that includes a free drink at the bar. This entry was posted in News and tagged Bolt Action, Carcassonne, High Society, London, Star Cartel, Ticket to Ride on April 23, 2018 by nannyGOAT. Boardgames in the News: What is Asmodee’s Grand Plan? Four years ago, Eurazeo bought a small French games company called Asmodee from the investment firm, Montefiore. Asmodee were a small company hitherto primarily known for a clever little kids game called Dobble. With the financial might of their parent company behind them, over the next few years, Asmodee proceeded to gobble up many larger, well-established companies, including Days of Wonder, Fantasy Flight Games, Z-man Games and most recently, Lookout Spiele. Those companies produced some of the best known modern games including Ticket to Ride, Carcassonne, Pandemic, Agricola and Star Wars X-Wing Miniatures Game. Not content with that, they also acquired the rights to the English language version of the Settlers of Catan (now known simply as “Catan”) and all the related Catan games as well as gobbling up a number of smaller and/or newer companies like Space Cowboys (producers of Splendor and Black Fleet) and Plaid Hat Games (producers of Dead of Winter and Mice and Mystics) and entering into a distribution agreement with many others. There are now very few games companies of any substance that are not somehow tangled in the Asmodee web. The last major purchase was F2Z Entertainment in 2016, and since then it has been relatively quiet. With the new year comes a new wave of acquisition, however, so at the end of January Asmodee announced that they were in exclusive negotiations with Rebel. Rebel is a relatively small, Polish company responsible for games like K2 as well as Polish editions of many popular games like 7 Wonders and Codenames. Perhaps more importantly, Rebel also produces the Polish language versions of many of the Asmodee games and is the largest distributor in Poland. And Poland is a big country, smaller than France or Germany, but bigger than Italy and the UK, globally Poland is the thirty-forth largest country by population. That is a lot of Poles and they do like playing board games in Poland. This announcement was almost immediately followed by the bombshell that Asmodee had acquired all the residual assets from Mayfair and with it, Lookout Spiele. Although this is by far the largest deal in recent months, Asmodee have not been resting on their laurels and there has been a lot going on behind the scenes. In December last year they announced that Esdevium was to be renamed “Asmodee UK” bringing them in line with the “Asmodee North America” and “Asmodee Canada” brands. At around the same time, Eurazeo announced that French publisher Purple Brain Créations would be joining the Asmodee Group. Furthermore, they have also been streamlining their distribution network in North America. Having reduced the number of distributors they deal with to five in 2015, in June last year Asmodee North America announced an exclusive distribution deal with Alliance Game Distributors, effectively creating a monopoly of supply within the USA. This coupled with their Minimum Advertised Price policy (or MAP) gives them a stranglehold on the US market in a way that would never be allowed in Europe. Whether they are planning to take that one step further and acquire Alliance themselves still remains to be seen, but that looks like a real possibility. Finally, they have been pushing in a new direction, developing electronic versions of some of the most popular games through their studio, “Asmodee Digital“. So what is Asmodee‘s Grand Plan? Where will it all end? Well, there are still a couple of other large manufacturers out there that are not yet part of Asmodee. Looking at the companies they have already absorbed there is a clear trend: they typically have one particular feature that Asmodee are interested in. In the case of Days of Wonder, that was the Ticket to Ride series, with Z-man Games it was Pandemic and Carcassonne, and with Rebel, it was probably their distribution network that caught the eye of the executives at Asmodee. Going forward, the most obvious targets are probably Rio Grande Games, Czech Games Edition, Queen Games, Hans im Glük and maybe 2F, or Pegasus Spiele (who have just announced a partnership with Frosted Games). For example, it would be surprising if Rio Grande Games have not been approached given the popularity of games like Dominion and Race/Roll for the Galaxy. Similarly, Czech Games Edition are a small company with some very juicy morsels including Galaxy Trucker, Dungeon Lords/Petz, and the hugely successful Spiel des Jahres winner, Codenames. The purpose of Eurazeo is to identify, accelerate and enhance the transformation potential of the companies in which it invests, even long after its exit. An active and committed shareholder, Eurazeo assists its holdings in the long term – 5 to 7 years – with control over exit timing. An extensive role enabling it to combine business development and corporate social responsibility. This entry was posted in News and tagged 7 Wonders, Agricola, Black Fleet, Carcassonne, Codenames, Dead of Winter: A Crossroads Game, Dobble, Dominion, Dungeon Lords, Dungeon Petz, Galaxy Trucker, K2, Mice and Mystics, Pandemic, Race for the Galaxy, Roll for the Galaxy, Splendor, Star Wars: X-Wing Miniatures Game, The Settlers of Catan, Ticket to Ride on March 2, 2018 by nannyGOAT. Over the last few years there has been a lot of anecdotal evidence that modern boardgames are becoming less of a niche activity, with a large number of reports in local and national media. Last month alone, there was a prime-time article on BBC Radio 2‘s flagship Breakfast Show, where Chris Evans interviewed Dicky Duerden, Head of Games at the Chance & Counters Games Cafe in Bristol. The interview took place shortly before 9am (2hrs 13 mins into the show) and discussed classic games like Connect Four and Kerplunk as well as their most popular games, Scrabble and Jenga. The interview included a couple of nice little anecdotes, for example, Dicky Duerden explained that Battleship began life as a French game called “L’Attack” and was renamed twice, changing to “Salvo”, then “Broadside” before finally becoming “Battleship”. He was also asked whether they have problems with players having temper tantrums and whether people lose pieces or walk off with them. Apparently, Chance & Counters has heavy unflippable tables with shelves to store the games and cup-holders to help prevent spillage. So, the most damage they’ve had to a game was when someone stole all the marbles from Hungry Hungy Hippos—presumably the thief couldn’t stand the noise! 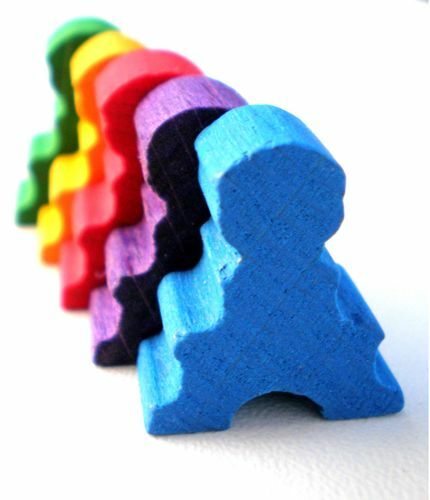 Modern boardgames have also featured in print and other media channels. For example, the literary and cultural commentary magazine, The Atlantic, recently reported how U.S. sales of boardgames grew by twenty-eight percent between spring 2016 and spring 2017. They put this increase down to the rise in popularity of card games like Cards Against Humanity, Secret Hitler, and Exploding Kittens as well as what they initially refer to as “hobby” boardgames. Although the article is written from a US perspective, it includes a nice commentary from Phil Eklund, head of Sierra Madre Games and designer of Pax Porfiriana, Greenland and Bios: Megafauna amongst others. The interview with Phil Eklund is excellent and well worth a read; it includes discussion of Essen and Spiel des Jahres as well as discussion of a wide range of games including Power Grid, Biblios and El Grande rather than just the usual Settlers of Catan and Ticket to Ride. Every report about the growth of modern boardgames hides something less cheerful: the number of stores that have closed in recent time. As demand for modern games increases, so does their availability at places like Amazon, and that increases the pressure on an already squeezed niche. In the last year or so, several excellent and well established stores have closed including Shire Games and Northumbria Games. With prices continuing to rise—a new big-box game is rarely below £50 these days—and the growth of crowd-funding, more and more gamers are looking for discounts where they can. The boardGOATS are lucky to have three excellent outlets locally, Eclectic Games (in Reading), Thirsty Meeples and The Gameskeeper (both in Oxford). Perhaps the Chris Evans interview will encourage more people to pay them a visit. This entry was posted in News and tagged Battleship, Biblios, Bios: Megafauna, Cards Against Humanity, Connect 4, El Grande, Exploding Kittens, Greenland, Hungry Hungry Hippos, Jenga, Kerplunk, Monopoly, Pax Porfiriana, Power Grid, Scrabble, The Settlers of Catan, Ticket to Ride on February 13, 2018 by nannyGOAT. It is that time of year again when the gamers’ minds turn to Essen and – The Internationale Spieltage. To Gamers worldwide, Essen is synonymous with the largest games fair in Europe and, arguably, the world. The fair runs Thursday to Sunday in mid/late-October every year and is the one of the biggest and most significant of all the boardgame conventions with many new releases and timed to coincide with the end of October. This year the first day will be this Thursday, 26th October and games, publishers and their wares are all making their way to Germany for four days of fun and games. Last year several of the group went, and they came back with a lot of expansions for well-loved games like Istanbul, Colt Express, and Orléans and picked up some new games like Key to the City – London, Ticket to Ride: Rails & Sails and Cottage Garden. This year, new games include Queendomino, Indian Summer, Altiplano and Keyper, with expansions to old favourites like Isle of Skye, Imhotep, Ticket to Ride, Terraforming Mars and Splendor as well. Once again, several locals are going and they are sure to bring back some interesting toys to play with over the coming months. This entry was posted in News and tagged Altiplano, Colt Express, Cottage Garden, Imhotep, Indian Summer, Isle of Skye: From Chieftain to King, Istanbul, Key to the City: London, Keyper, Orléans, Queendomino, Splendor, Terraforming Mars, Ticket to Ride, Ticket to Ride: Rails & Sails on October 24, 2017 by nannyGOAT.